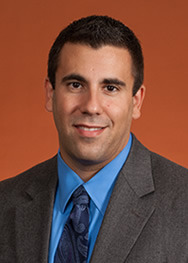 Dr. Feinberg earned a BS in Materials Science and Engineering from Cornell University in 1999, followed by a Masters (2002) and Ph.D. (2004) in Biomedical Engineering from the University of Florida, where his doctoral work was focused on engineering cell-material interactions to prevent and enhance adhesion. He was then a Postdoctoral Fellow at Harvard University from 2005 to 2010, where he developed new biomaterials and cardiac tissue engineering strategies for 3-dimensional myocardial regeneration, with a focus on stem cell-based approaches. Dr. Feinberg joined CMU in the fall of 2010 as an Assistant Professor with joint appointments in Biomedical Engineering and Materials Science and Engineering. We develop materials-based, regenerative strategies with the goal of engineering the self-organization and self-assembly of various cell types into tissue structures and understanding the emergence of higher-order function in neuromuscular and cardiovascular systems. Our specific focus is on the interaction of cells and tissues with engineered materials and determining how cells sense, respond and modulate their environment. This is a problem that spans from the molecular (nano) to the tissue (macro) level where we try to elucidate how biochemical, electrical and mechanical signals are propagated across spatiotemporal scales. Current efforts are focused on the following areas. Szymanski JM, Sevcik EN, Zhang K and Feinberg AW. Biomaterials Science, 5, 2017, pp 1629-1639. Hinton TJ, Hudson A, Pusch K, Lee A and Feinberg AW. ACS Biomaterials Science & Engineering, 2 (10), 2016, pp 1781–1786. Patil P, Szymanski JM and Feinberg AW. Advanced Materials Technologies, 1(4), 2016, pp 1-5. Hinton TJ, Jallerat Q, Palchesko RN, Park JH, Grodzicki MS, Shue HJ, Ramadan MH, Hudson AR and Feinberg AW. Science Advances, 1(9), 2015, e1500758. Sun Y, Jallerat Q, Szymanksi JM and Feinberg AW. Nature Methods, 2(12), 2015, pp 134-136.